Oh hey there! Glad that you stumbled upon this post. We believe you are interested in Inbound marketing. Or classical music. Either way, we have something exciting in store for you. One day, while we were creating an ROI calculator and listening to our usual jam, we noticed something. We got to know that Beethoven had inserted a ‘Fermata’ symbol in his fifth symphony. Simply put, a ‘Fermata’ means ‘play how you feel it’. Ben Zander has his own rendition of this. Needless to say, he made the tune his own. He understood the power of personalization. We hope to make you understand that too. 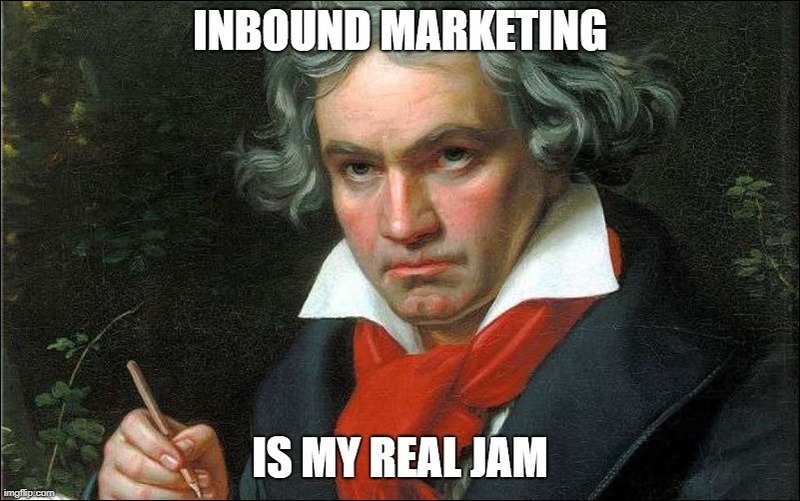 However, before we move further, let’s see how well you already understand the concept of inbound marketing. Take a quiz, maybe? Inbound marketing is generally divided into four categories of action. But one can only listen to so much music, right? Let us break the verses down for you. The first phase of Inbound marketing is to attract the customers. 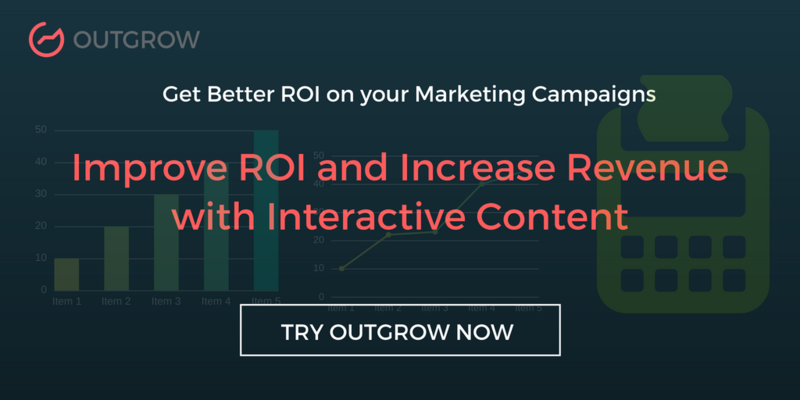 This will require you to create highly relevant and interesting content. You have to create something that compels them to be intrigued in what you have to say. Here’s a tip: The content you make for attracting customers should be strictly for the people who want to read it. Don’t force it down their throats. Make a delectable dish, garnish it, and let them come to you. Now, how do you want to present this content? Blogs are the most obvious choice. Jeff Bullas came up with this amazing APP intro formula for a blog that might interest you. There are various other content formats like reports, webinars, and Podcasts. However, interactive experiences like quizzes and calculators demand a special mention for their high conversion rates. The power of social media to attract leads cannot be underestimated. According to a research, 71% of consumers who have had good social media service with a brand are likely to recommend it to a friend. This is a fact. Social media is what attracts. Hey! That rhymed! Then this must be true. 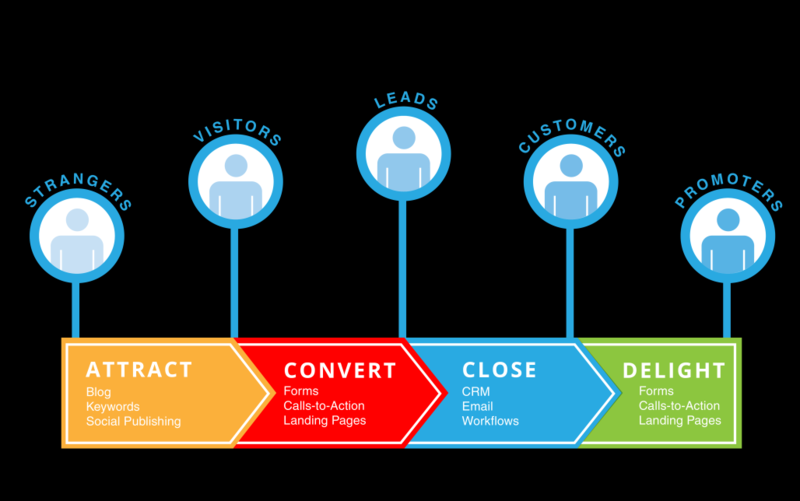 The next phase is to convert those visitors into leads. Create a detailed customer database and open a conversation in whatever way works best for them- messages, forms or meetings. To increase your conversion rate, it’s important to be mindful of all its components: CTA, landing pages, and thank you pages. Place the CTA strategically. Position it near the content that resonates the most with it. Optimize your landing page to decrease the fallout and increase the conversion rate. Check out this landing page checklist by Smartbug for more information. After all, the difference between something good and something great is attention to detail. Showcasing satisfied customer testimonials can also go a long way in converting leads. It helps the potential customer recognize you as a credible source and trust you more. Once in contact with the customer, you can provide personalized content that might have the power to attract them. Don’t play rap to a jazz fan. Again, we could learn a lot from Beethoven’s ‘Fermata’. If you have been doing what we have been telling you to, you have a good number of qualified leads in your pocket. Now you need to close the right leads at the right time. Lead nurturing is a major part of inbound marketing, so you gotta buckle up. Here comes some premium octane knowledge. According to a research conducted by Forrester, the sales opportunities increased 20% from non-nurtured vs. nurtured leads. You need to nurture your leads according to their interests. The page they visit, the posts they like, topics they are interested in. To create the ideal lead nurturing strategy, adapt to the lead’s interest and mold the messages accordingly. An effective multi-channel lead nurturing strategy is a combination of marketing automation, email marketing, social media, paid retargeting, dynamic website content and direct sales outreach. Nurture your leads according to their interests. The page they visit, the posts they like, topics they are interested in. To create an ideal lead nurturing strategy, adapt to the lead’s interest and mold the emails accordingly. Adapt your messages to stay relevant and consistent to win new customers. 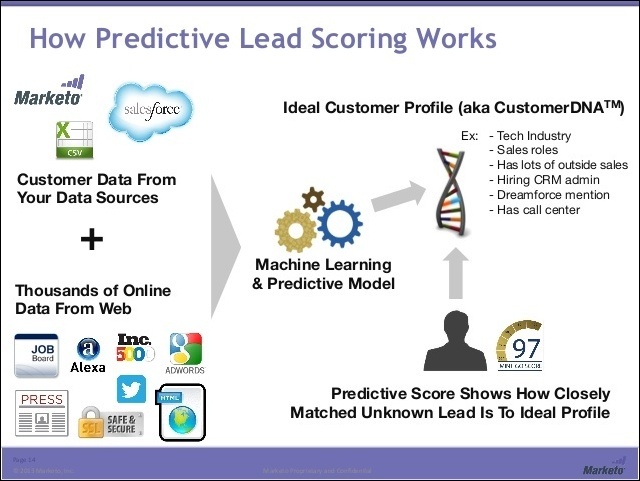 A little further down the line, you might want to think about Predictive Lead Score. It entails prioritizing the time of the sales team. As the business grows, you have to give greater consideration to leads with greater promise. You have done the hard work. You have successfully attracted your customers. But how do you make sure they are here to stay? The ‘ultimo finis’ is to delight those customers. These are the people who are going to help you expand your business. These are the marketers you didn't hire; the salespeople who aren’t earning through a commission. ‘How come’, you may ask? Well, if they are happy with your service, not only will they stick with you, but also bring in more customers. An efficient and timely customer service is highly important. After all, redressing the problems faced by the customers is the foundation of a closed-loop inbound marketing strategy. Having meaningful customer conversations is equally important. 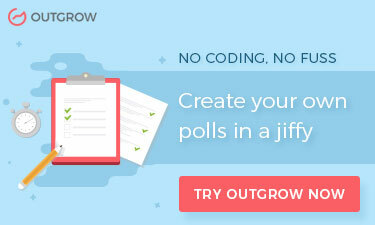 Sending them CTA’s to sign up or content fashioned to gather leads is disinteresting, and frankly, off-putting. Sending them relevant content and offers is Customer Delight 101. All this information is to help you to move onto a more reliable and efficient type of marketing. Just remember, the key to a great inbound marketing strategy is ‘Fermatas’.